While the modern armamentarium for the treatment of ischemic heart disease includes ever-improving pharmaceutical therapies, percutaneous interventions, and coronary artery bypass grafting, standard modalities are not always sufficient in the treatment of advanced disease. Indeed, the number of patients with symptomatic chronic disease continues to rise in the United States – likely due to advancements in medical therapy. As a result of this challenge, researchers have long sought to develop alternative strategies to more traditional revascularization techniques. 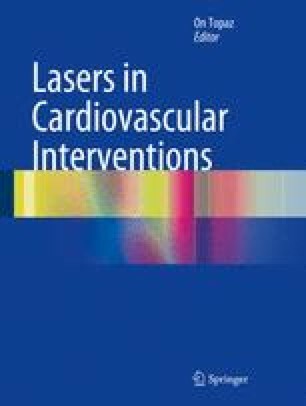 In the 1990s transmyocardial laser revascularization (TMLR) emerged as an effective treatment modality for patients with severe coronary disease not amenable to conventional therapy. Although the specific mechanisms leading to reperfusion and symptom relief remain controversial, studies have shown laser therapy to significantly improve angina in select patient groups, rendering it an important therapeutic option in the treatment of severe coronary artery disease.